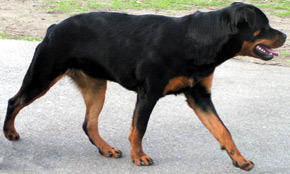 Search and adopt a Rottweiler near you. Calm, confident and courageous dog. Especially suited as a companion, guardian and general all-purpose dog. Self-confident and responds quietly and with a wait-and-see attitude to influences in his environment.